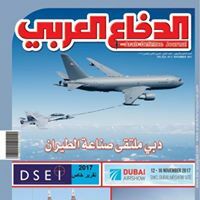 Arab Defence Journal is the leading Arabic defence magazine of the Arab world. The magazine has been published monthly since 1976 and with over 30,000 paid subscribers, is read by Arab government ministers and advisors, as well as the senior military and police officers throughout the Arab world. For over 40 years, Arab Defence Journal has been the primary Arabic source of information on defence. Each month, the magazine reports on news and current affairs from the Middle East and around the world, along with special features on aerospace, naval and land systems topics, from the world’s top defence writers. Day supplements, defence industry reports and company news.